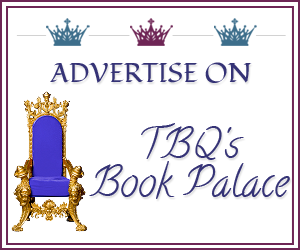 TBQ'S Book Palace: Six Year Blogoversary: Day 7 + Giveaway! 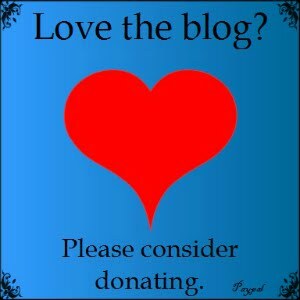 Six Year Blogoversary: Day 7 + Giveaway! Reverse Interview -- Ask Us! Giveaway ends June 21st at 11:59 AM. Winner will be picked and announced at the end of the blogoversary -- June 22nd. If the winner is from the US, they will receive a Studio Smexy Compact. If they are INT, they will receive a $10 gift card to CafePress instead. Remember, the GRAND PRIZE Giveaways ends June 21st though, so this is your last chance to enter it. Good luck! Question: It's your turn to ask a question! What do you want to know about us? We'll answer in the comments. Hrm. Alright ladies. What was the last scene that made you seriously gigglesnort? And what's your biggest quirk in real life? I don't think I've read any review here with less than 3 star, but have you ever had an author contact you regarding a low rated review here at the TBQ or any other forum? Ooh, yes! I have had a few. Usually ones where I left a rating and/or mini review on my GoodReads account and the author, or sometimes tour host if I was doing a blog tour, has asked me to either change the review, pull it down, or wait to put the review up after a certain date. I've never been attacked, thank goodness. Also you are right, while we do put 0.5-2.5 stars on the review policy, we've never posted any lower reviews here on the blog. We may talk about a book that didn't work for us, sometimes in great detail, but never an actual review.